Let us take the sting out of bookings and organizing your activities. Tell us what you would like to do and we will gladly book your excursions. You can safely walk for hours along the the white coastline of Pearly Beach towards Quoin Point or Franskraal and explore our bird life, where you will find our e Black Oyster catcher sitting on the rocks. Pearly Beach is a very popular angling area and you will see fishermen lined on our beaches over weekends. You may want to go on a Whale Watching cruise from Kleinbaai or Gansbaai and when there is no whales, the boats will take you to Dyer Island to see penguins or to see about 50 000 cape fur seals. Gansbaai also offer you three whale watching opportunities. Land based viewing, from a Whale boat or even from the Air. Some great Land based Whale viewing areas are De Kelders, Hermanus and De Hoop Nature Reserve. Nature Reserves in the area are Walker Bay, Grootbos Private Nature Reserve, De Mond Nature Reserve as well as Fernkloof in Hermanus. 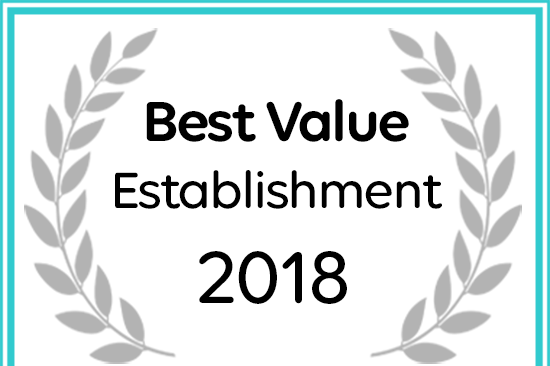 The Ark Bed & Breakfast has been named a Best Value Establishment by Afristay. Book two night stay between 1 July 2018 till 31 August 2018, and stay a third night FREE.